Commercial Painting Contractors Serving Nashville & Southeast U.S.
CIP is one of the top commercial painting contractors Nashville has to offer. In business since 1984, CIP serves our commercial painting clients in Nashville and across the Southeast. We are committed to being the best commercial paint contractor in the industry. We are a locally owned and operated business with the ability to handle any size commercial painting project. When it comes to choosing the right Nashville commercial painting contractor, choosing the lowest bidder is not always the best choice. Good construction managers know they need to work with a company they can trust, that has the resources and abilities to get the job done. We specialize in serving the following industries. Click on any of the links below to view our portfolio of work by industry. One thing that sets CIP apart from other commercial painting contractors Nashville has to offer is our team of painters and project managers. We use employees, not hired labor. This means all of the people we have working on your project are dedicated to doing the job right, not just getting a paycheck. Plus, we are dedicated to supporting our employees and their families. CIP is equipped with the dedicated manpower, facilities and resources to get the job done and we’re not scared of overtime or weekends if that’s what it takes. The secret to our success isn’t really a secret. It’s hard work. We believe in meeting project deadlines, standards and exceeding the expectations of our clients. We’re proud to say that many of our clients are repeat customers. We hold ourselves to an extremely high standard and believe in treating our customers with an unmatched level of customer service and communication on every project. 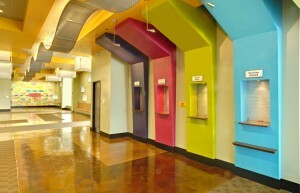 If you would like to speak with us about a commercial painting project please contact us (615) 790-8822. We are located just south of Nashville and serve clients across the Southeast.